Columbus Blue Jackets goaltender Sergei Bobrovsky will miss Thursday night's game because of an unspecified team "incident." 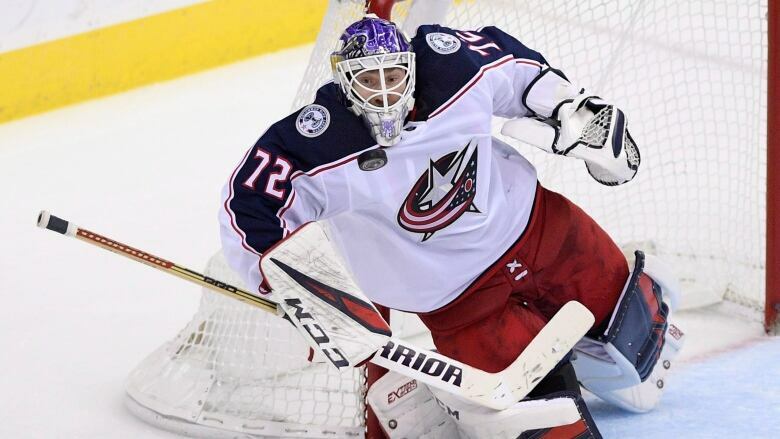 Columbus Blue Jackets goaltender Sergei Bobrovsky missed Thursday night's game against the Nashville Predators because of an unspecified team "incident." The team made the announcement several hours b​efore the Blue Jackets were set to play host to the Nashville Predators. Backup Joonas Korpisalo got the start as the Jackets won 4-3 in overtime. Bobrovsky allowed four goals on 19 shots before being replaced by Korpisalo midway through the third period in a 4-0 loss to Tampa Bay on Tuesday.